Here are a few vital recent releases from Ace (all issued on beautiful vinyl), probably one of the best reissue labels in the world. 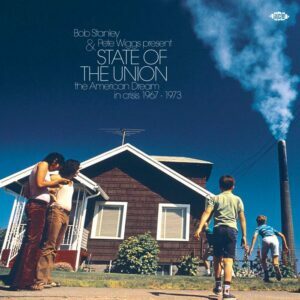 Ace is really spoiling us this year with not one, but two Bob Stanley & Pete Wiggs thematically linked double compilation albums, Paris In The Spring (previously reviewed on Louder Than War) and this release, State Of The Union: The American Dream In Crisis 1967- 1973. As magnificent as the Paris LP was, this might be even better. The concept is simple but highly original: a collection of previously overlooked recordings by ageing ‘middle of the road’ artists, choosing to record songs that surprisingly reflected the turbulent years of social and economic upheaval that the USA was experiencing in the late 60s and early 70s. While the Vietnam War still raged, race riots flared in cities across the country, the divorce rate escalated to previously unrecorded levels, American youth rebelled against The Greatest Generation who had fought World War II and the repercussions of key political assassinations shook the land, even such established showbusiness figures as Frank Sinatra, Dean Martin and Bing Crosby could not ignore the prevailing atmosphere of mayhem. Featured here are Sinatra’s ‘The Train’ from his mournful and underrated Watertown concept album exploring small-town American life, Dean Martin’s sniping against official hypocrisy in ‘Do You Believe This Town’, Bing Crosby questioning the validity of the space race in ‘What Do We Do With The World?’ and Louis Armstrong & His Friends deliver a rousing version of John Lennon’s ‘Give Peace A Chance’. Strange Days indeed. Even performers who had shied away from direct ‘political’ statements in their art, recorded fresh songs that reflected the new mood. Included here are Elvis Presley’s self-explanatory ‘Clean Up Your Own Back Yard’ (“Oh don’t you hand me none of your lines”), Roy Orbison’s seven-minute epic concept single ‘Southbound Jericho Parkway’ (which details, without a chorus, a businessman’s suicide at the wheel of his car, and his immediate family’s reaction to it), Eartha Kitt’s reaction to racism within religion (‘Paint Me Black Angels’), The Beach Boys’ bleak vision of the ‘4th Of July’, Dion marks the slaying of ‘Abraham, Martin And John’ and Buddy Greco’s scathing portrait of ‘Cardboard California’. Beautifully packaged in a sleeve that perfectly reflects the content of the music and the period in which it was produced, State Of The Union: The American Dream In Crisis 1967- 1973 is a flawless anthology album. Most disturbing of all, the project seems remarkably prescient, as many of the themes in the songs within it are equally relevant currently. The more things change the more they stay the same, could be one conclusion to draw from Bob Stanley & Pete Wiggs’ State Of The Union. 2. 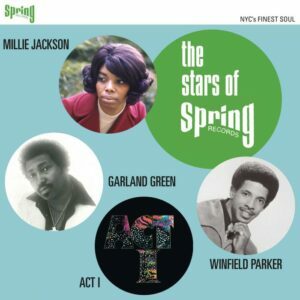 Various Artists – The Stars Of Spring Records. Here is another fantastic 4 track release in Ace’s special limited-edition vinyl Eps series, derived from the deep well of celebrated US soul labels. The aim is to provide a shortcut introduction/presentation of the best that each organisation has to offer. The label in the limelight for this release is Spring Records. Formed in 1967 in New York City by the artist/production management team of Bill Spitalsky, Roy Rifkind and Julie Rifkind, Spring enjoyed great commercial success until the early 80s. One of Spring’s biggest acts, the living legend Millie Jackson, is rightly featured here. Jackson’s effervescent and enticing ‘Close My Eyes’, taken from her bestselling second 1973 album It Hurts So Good, is now available on a convenient 7” inch format, for DJs to play at maximum volume to fill any dancefloor. The remaining acts included on this EP did not enjoy the commercial success Jackson reaped but their tracks are extraordinary none the less. Winfield Parker’s 1972 powerhouse guitar funk workout ‘Starvin’’ is a case in point. Conceived as a follow up single to his more conventional 1971 hit ‘S.O.S. (Spot Her On Sight)’, ‘Starvin’’ effortlessly incorporates hard rock into Parker’s piledriving delivery, in a similar fashion to early Funkadelic. The enigmatic and anonymous Act 1, only created one eponymous 1974 Spring album (produced by Ray Godfrey), but it was unforgettable. Taken from it is ‘It’s The Same Old Story’, a prime example of top quality danceable American soul. Last but not least, Garland Green’s 1973 ballad number, ‘Just What The Doctor Ordered’, is just that. Produced by Brad Shapiro, ‘Just What The Doctor Ordered’, featuring Green’s poignant vocal delivery to the fore, bizarrely languished in a vault until its eventual release by Kent in 1990. The Stars Of Spring Records is definitely worth acquiring at the first opportunity. 3. Various Artists – Westbound Super Breaks – Essential Funk, Soul And Jazz Samples And Breakbeats. Compiled and noted by Dean Rudland, this crucial double compilation album reveals the roots of so much contemporary hip-hop reside in the recordings issued by the ground-breaking Detroit label Westbound, between the early 70s into the middle of that decade. As Westbound celebrates its 50th anniversary this year, Super Breaks is the perfect artefact with which to celebrate the label and its venerable owner, Armen Boladian. George Clinton’s ground-breaking Funkadelic were always Westbound’s ground-breaking and most influential act, referenced by countless hip-hop groups, so it’s only fitting that Westbound Super Breaks features four essential Funkadelic tunes: percussion heavy ‘I’ll Bet You’, the psychedelic ‘I Wanna Know If It’s Good For You?’, the strident ‘You And Your Folks, Me And My Folks’ and The Magictones fine cover of the band’s ‘Good Old Music’, produced by none other than George Clinton. Founding Funkadelic member Fuzzy Haskin’s enjoyed a flourishing solo career on Westbound and his ‘The Fuz And Da Boog’ cut has been sampled numerous times. Of course, there was more to Westbound than Clinton’s funk pioneers. Ohio Players ‘Funky Worm’ has been sampled by all and sundry, while key Players member Junie Morrison’s virulent ‘Suzie Thundertussy’ was sampled by Donald Trump’s biggest fan, Kayne West. Oher highlights Spanky Wilson’s infectiously groovy cover of Bill Withers’ ‘Kissing My Love’, Caesar Frazier’s funky jazz tune ‘Funk It Down’ (sampled by Gang Starr on ‘next Girl To Ex-Girl’) and The Detroit Emeralds, whose ‘You’re Getting A Little Too Smart’ and ‘Baby Let Me Take You (In My Arms)’ were featured on De La Soul’s pivotal hip-hop LP, 3 Feet High And Rising. Westbound Super Breaks is the ideal compilation album for the dancefloor or (as it’s also issued on CD) a road trip to the Motor City. Compiled and noted by Mick Patrick and Matt Meek this remarkable 14 track compilation album (also available as a 24 track CD), spanning the years from 1966 to 1971, features a smorgasbord of spirited freaky rock, funky pop music and fractured folk rock out sounds created by Hungary’s leading female recording artists of the period. As the late, great, Hunter S. Thompson once wrote, when the going gets weird, the weird turn pro. That this music was made in the first place is remarkable in itself. Meek relates in the perceptive notes how, when the Hungarian government introduced the Use and Practical Spending of Leisure Time by Young People act in 1964, a new era of permissiveness started in this once Soviet bloc satellite state. As can be gleaned from just the wild and unregimented music presented on this collection, the state favoured musicians and young female singers (there was already a tradition for girl vocalists to be at the forefront in Hungarian music) grabbed the opportunity by the scruff of the neck to explore the styles and flavours of western rock they had heard broadcast by Radio Free Europe. Due to the fact the youth wing of the government (the KISZ) insisted that the acts sing in the national language and deploy traditional Hungarian folk instruments, the music featured here does not simply cover or mimic American or British numbers of the day. Instead, the haze of loud fuzzy guitars, strident drums and vocals blend into a unique and intoxicating brew of rock music that could have only been produced in an isolated and heavily policed Communist country. Tune in, turn on, join The Party. 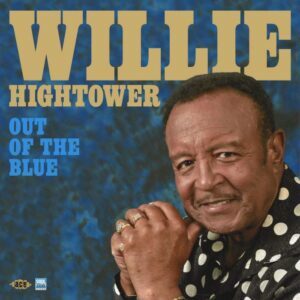 Here is a remarkable return to the centre stage by previously missing in action 77-year-old soul legend Willie Hightower, on a brand-new album produced by 95-year-old Memphis producer Quinton Claunch at the centre of southern soul music, Muscle Shoals, Alabama. It sounds too good to be true, but rest assured this isn’t fake soul news. This is only Hightower’s second album to date (his last was issued in 1969) but his gospel-influenced vocal and country soul music – evinced on his 1960s singles ‘What Am I Living For’ (previously a hit for Chuck Willis), Pete Seeger’s folk song ‘If I Had A Hammer’ ( a huge hit for Trini Lopez), his first Capitol records 45 ‘Because I Love You’ (co-produced by future Sire Records boss Seymour Stein) and his own 1969 ‘It’s A Miracle’ composition – have always found favour with soul devotees. Hightower transferred to Rick Hall’s celebrated FAME label for two classic singles, a powerhouse reading of Joe South’s ‘Walk A Mile In My Shoes’ and ‘Back Road Into Town’. Inexplicably, they failed commercially and Willie Hightower slipped from view. But with Out Of The Blue, Willie Hightower, together with veteran keyboard player Clayton Ivey and guitarist Travis Wammack, is definitely back. From the lush, redemptive opening ballad ‘I Found You’, through the on the money cover of Andy Kim’s 1974 pop-country hit ‘Rock Me Gently’, the heart-breaking ‘Somewhere Dry’ and the resigned ‘Everybody Wants My Girl’, Willie Hightower’s Out Of The Blue hits home with true soul power. If you’re looking for the real soul deal, it’s here, on beautiful vinyl to boot. Ace Records can be found online at acerecords.co.uk. They’re also on Facebook and twitter, as @AceRecordsLtd. Read part one of the summer edition of this series here.